For those eagle-eyed amongst you, you might’ve noticed that we’ve updated our Carbon Literacy Standard. This includes general updates throughout, a new section covering ‘Process’, and a new accreditation for ‘Carbon Literacy Training Organisations’. Black text (what has stayed the same) and red text (the new and updated areas of the Standard). This version will be useful to individuals and organisations who have worked on Carbon Literacy previously, helping you to immediately see what is new and if any changes might need to be made. 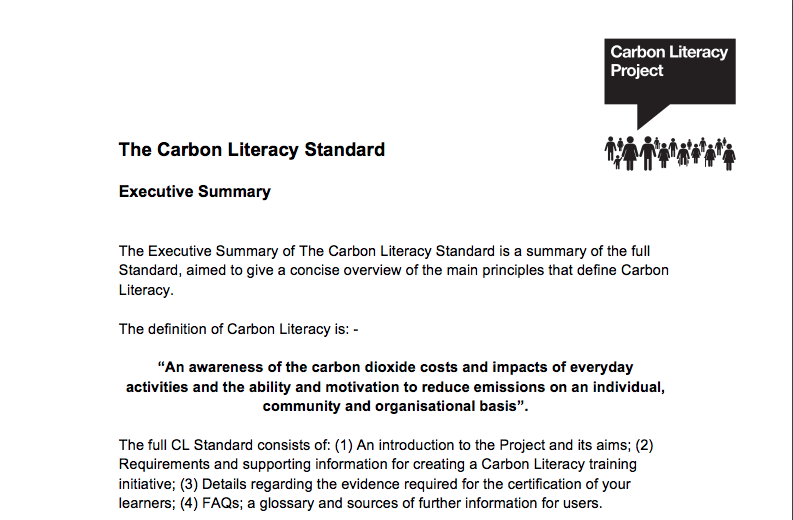 All black text, shown as one cohesive document, for individuals and organisations that are new to Carbon Literacy.